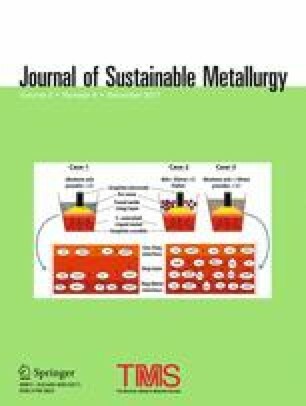 Based on the initial investigations for the recycle of pyroprocessed uranium from used nuclear fuel, additional research has been conducted for the continued reduction in radiation levels and transuranic content of the uranium products. Although the pyroprocessing technology is performed in a shielded facility, the products most likely will be handled in an unshielded environment by interested entities. A radiation level as low as possible is desired so that further operations can be undertaken directly with the uranium products without additional radiation dose to the involved personnel. The transuranic content of the uranium will affect the subsequent waste streams generated and thus also should be minimized. Several potential improvements to the process have been investigated and include reheating uranium products, removal of surface contamination, a pre-distillation salt-draining step, and reduction in diluent addition. The progress of these improvements will be discussed as well as plans for further study. The contributing editor for this article was U. Pal. The authors would like to thank both the Fuel Conditioning Facility operations personnel for their contributions and the Analytical Laboratory staff for chemical services. This work was supported by the U.S. Department of Energy, Office of Nuclear Energy, Science, and Technology, under DOE-NE Idaho Operations Office Contract No. DE-AC07-05ID14517.